SHANGHAI -- Volvo confirmed it will build its first full-electric car in China and export it globally but kept quit about what type of model it will be. The EV will launch in 2019 and will based on the compact modular architecture (CMA) that Volvo co-developed with Lynk & CO, its Zhejiang Geely Holding sister brand, Volvo said in a statement on Wednesday. The car will be an all-new model, but Volvo CEO Hakan Samuelsson declined to say whether it would be a crossover, sedan or some other body type. "It will be a body style that we expect will have global acceptance and we will start production with the battery-only version only, with internal combustion variants that could follow later," Samuelsson told Automotive News Europe at the auto show here. Samuelsson said that China was a "logical" choice to build the compact electric car because of the government’s drive to reduce vehicle emissions. "Volvo Cars fully supports the Chinese government’s call for cleaner air as outlined in the latest five-year plan. It is fully in line with our own core values of environmental care, quality and safety,” Samuelsson said in the statement. The decision to make its first electric car in China also highlights the central role the country will play in Volvo’s electrified future, Volvo said in the statement. Volvo's announcement about the EV confirms Automotive News Europe's report last week about the model. The EV will be built at Volvo's plant in Luqiao, southeast China, alongside CMA-based models such as the all-new XC40 compact SUV, which launches later this year, and Lynk & CO's first model, the 01 crossover. Volvo is also planning a replacement for the V40 five-door compact hatchback and has shown a concept of a fastback sedan that could influence the look of the next-generation S40. Separately, Volvo r&d boss Henrik Green confirmed in Shanghai that Volvo is simultaneously developing full-electric cars that will be underpinned by its larger scalable product architecture (SPA), which is currently used by the automaker’s 90-series models such as it XC90 large SUV and the second-generation XC60 midsize SUV that debuted at the Geneva auto show last month. Those models will be a key to helping Volvo reach its aim of having a 1 million electrified cars on the road by 2025. That figure includes plug-in hybrid versions of every future model in the automaker's lineup. Currently, 14 percent of the XC90s that Volvo sells globally are plug-in hybrids. Volvo expects about 15 percent of customers for its second-generation XC60 to pick the powertrain. Deciding to make its first full-electric car in China reconfirms Volvo's commitment to establishing the country as a global manufacturing and export hub. The automaker recently moved production of the S90 flagship sedan to China from Sweden. 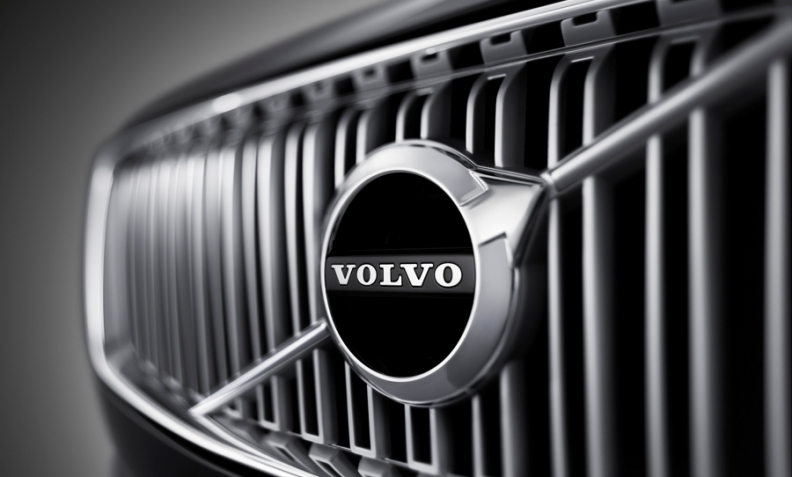 Volvo will export the sedan to global markets including Europe and the U.S. from its factory in Daqing. In 2015, Volvo became the first Western automaker to export a China-made premium car outside the country when it began exporting the long-wheelbase S60 Inscription to the U.S.
Beside its plants in Daqing and Luqiao, Volvo's has a factory in Chengdu, central China that will build current and new-generation 60-series midsize models. The massive increase in Volvo’s presence in China – seven years ago it had no production in the world’s largest auto market -- is part of the automaker’s $11 billion revival under Chinese owner Zhejiang Geely, which bought the company from Ford Motor in 2010. “With three plants – and the designation of one car line for each plant – Volvo creates an efficient production structure ensuring future capacity for growth,” Samuelsson said at an event in Shanghai last November. Volvo needs the additional output in China to reach two key goals: increasing its sales in its largest-single market to 200,000 by 2020 from 90,930 last year and boosting global vehicle sales to 800,000 by the same year from 534,332 last year. The large majority of those half-million units were made at Volvo’s plants in Torslanda, near Gothenburg, Sweden and in Ghent, Belgium. Volvo declined to provide production figures for its China plants, but Samuelsson has said he wants about one-third of the 800,000 units it plans to sell in 2020 to be made in China.